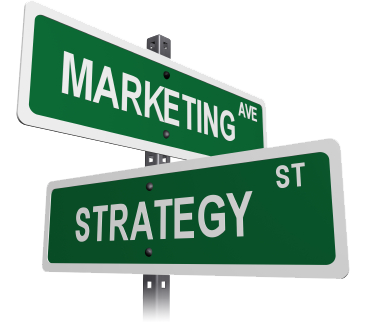 Marketing strategy is process of concentrating limited resources in potential possibilities for increase of sales and accomplishment of stable and competitive advantage. Carefully planned strategy always gives not only positive results, but also it is the engine, driving the existence of many companies in strongly competitive business sectors. Usually marketing strategies are developed as long term tactic plans, in which in details are described certain activities, which should be executed during the present year. They are dynamic and interactive. eSale.bg is ready to support your company in web planning of your marketing strategy, guiding you through the process in order to achieve maximum results. We will analyze, plan, put in action and summarize the results for you. Your only task is to mark the goals, you are trying to achieve. Our complex services will ensure you an advantage, which will make your competitors envy you. Search engine optimization, also known as SEO is the main channel when it comes to online traffic. This method is one of the most preferred and it brings well-targeted traffic from search engines. The SEO process takes time and only advanced experts could bring your the wanted results (first pages of Google, Yahoo, Bing), because of their knowledge and experience in the resent niche. Learn more. Every one knows that Facebook, Twitter and Google+ (and some others) are a fast growing social media sites world wide. Recently Facebook, for example, has more than 800 million users and keep counting up. A good marketing strategy in such a sites could bring your a lot of traffic, branding your products or business. Learn more. Writing in blogs or “blogging” is one of the most popular methods to share news, information, events, emotions with the entire world. Sharing blog posts and PR materials is not only sharing information and advertising, but a great way to get in touch with your targeted audience and get a feedbacks from them. Blogs exist more than 15 years. “Blog” means web diary, and it is an effective way to inform your recent and potential clients. Learn more. Starting a Pay Per Click (PPC) campaign is a great way to increase the traffic to your web site. Every advertiser, who want to start an PPC campaign should know that unlike the organic traffic (SEO), this one is costs money. You pay for every single click on your sponsored ad. As an advertiser, you only need to know which audience you want target, we will select your keywords and get your more from your budget. One PPC campaigns should be created and managed properly to achieve the results you want. Learn more. CPM (Cost Per Mile) and CPT (Cost Per Thousands Impressions) represents this type of advertisement when advertisers pay for broadcasting of their message to a certain auditorium. “Per thousands” means “per thousands impressions”, which really is the smallest volume unit. This method provides the business with unique opportunities for Internet presence. Last campaigns managed by eSale.bg. – Learn more about how we do it – Online campaigns. Other services. Learn more about what can offer you: Branding, Creative advertising, Video Advertising, Media planning and buying, Affiliate marketing, Consultation, CMP advertising. Become part of the our successful clients. Every single business owners is welcome to our digital agency eSale.bg. We have special proposals to small and large companies. We will look at your business and will present you the best solution in order to achieve the results you want. Achieving the results you want.